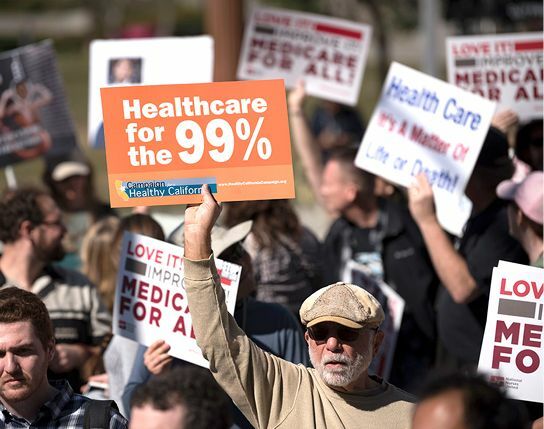 Not to be too dramatic, said Tiana Lowe in WashingtonExaminer.com, but compelling the U.S. to adopt socialized medicine “would kill people.” To be remotely affordable—even lowball estimates put the cost at $32.6 trillion over a decade—hospitals and physicians would have to accept reimbursement rates roughly 40 percent lower than today’s. This would create an “exodus” of physicians from the field, and deter bright young people from entering it—creating a serious physician shortage. Let’s not be too envious of our neighbor to the north, said Jim Geraghty in NationalReview.com. “More than a million Canadians are waiting for treatment at any given time.” Only 25 percent of U.S. citizens still favor Medicare for all when told it would mean longer wait times.